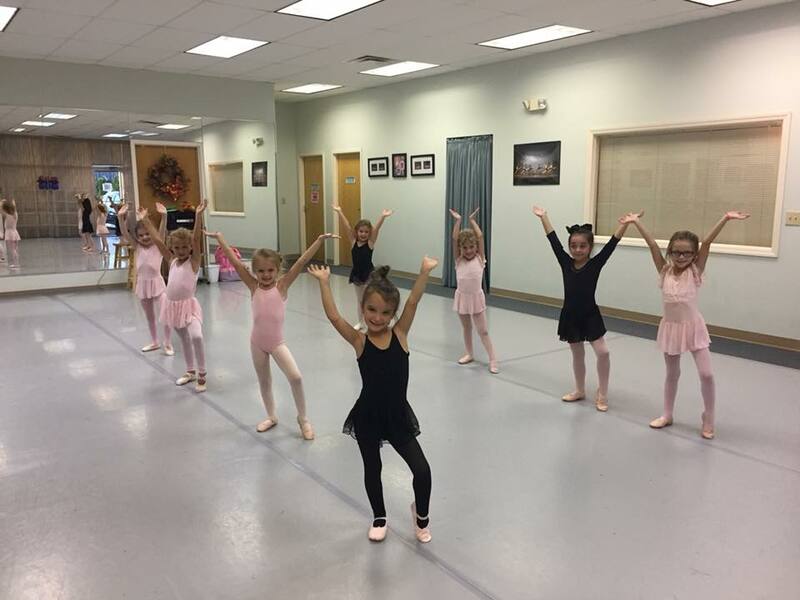 2019-20 Classes - WHERE EVERY DANCER MATTERS MOST! Be sure to check out our Class Info and Dance Styles pages before you register your dancer! LEVEL PLACEMENT INFO: Our level placement is determined in the following method: for Levels 3-4 we use age first, then ability. For Levels 5-7, placement is by ability first, then age. Our curriculum is designed for a student to be in a level for 2-3 years before advancing; however, students may advance at any time if they are really ready for the next level. *NOTE: these are guidelines only and exceptions may be made for beginner or extremely gifted students. 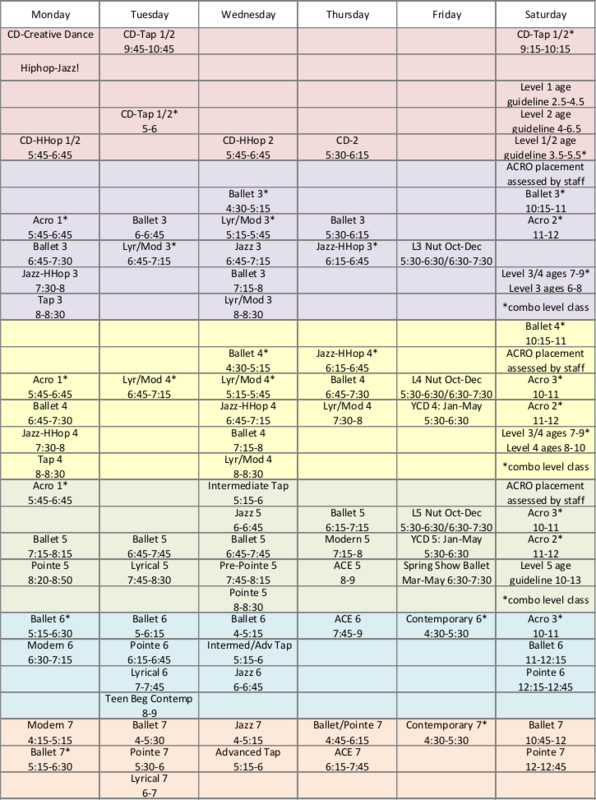 L3-7: 1 ballet class per week is required to enroll in any other classes. POINTE: all pointe students must have SDA Director approval to be on pointe. See website for all pointe info. NUTCRACKER: 1 ballet class per week to audition and participate, attendance will be monitored. YCD L4-5: 1 ballet class plus at least 1 other: jazz, lyrical, or modern AND Friday YCD class (starts in Jan 2019). *NOTE: all NEW students in Levels 5-7 must take a placement class to determine correct level placement. ﻿Ready to Enroll for Classes?